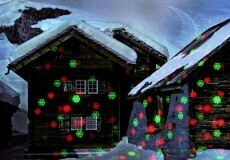 Bells, Christmas trees, stars, Santas and more are displayed in red & green or blue & green, depending on the product model. 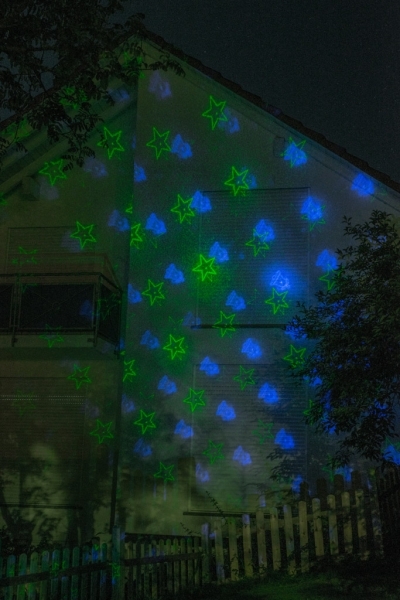 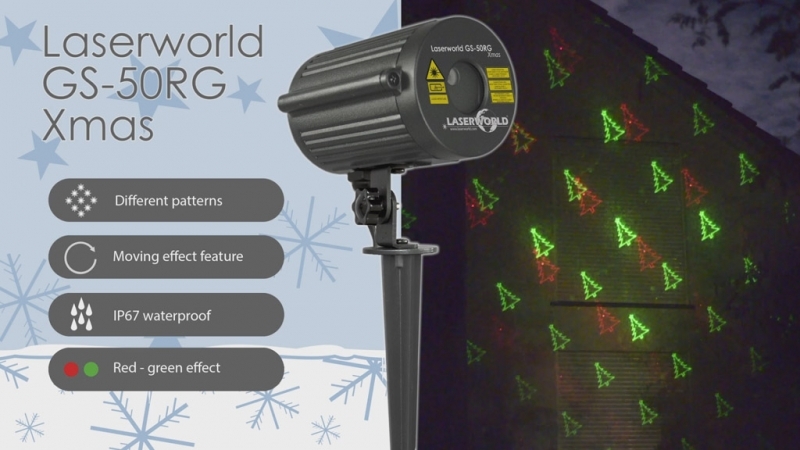 The Christmas lasers are designed as waterproof devices (IP67), so they can be used outdoor as well. 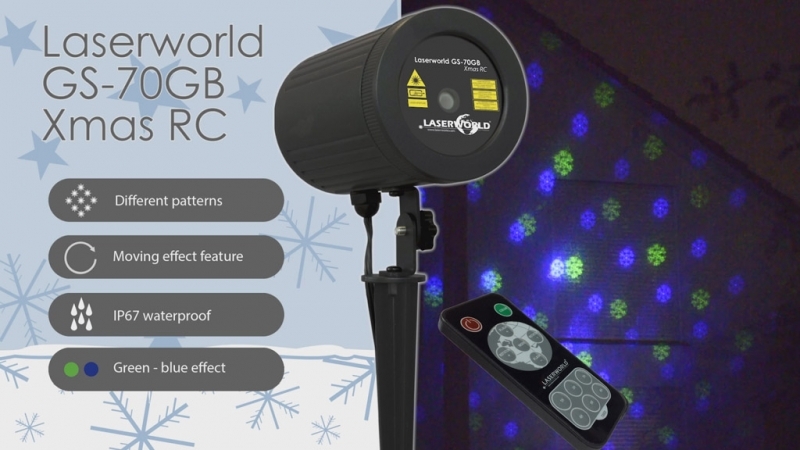 Some models come with radio remote control, which allows for the control of colors, rotation and pattern change speed, as well as for selecting additional strobe effects. 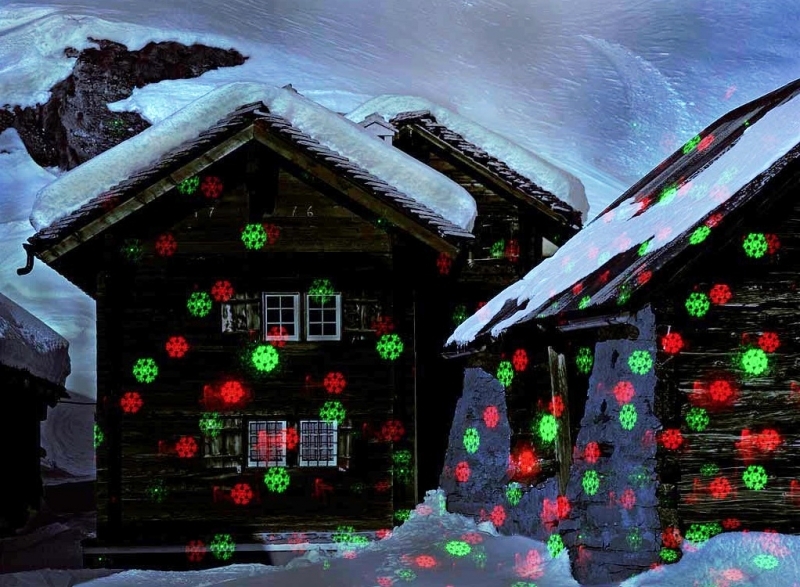 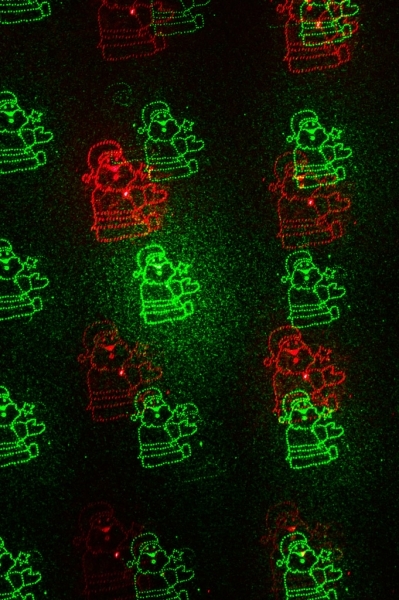 The Christmas themed projection effect is generated with glass gobos in combination with an optical diffraction grating, so the effect does not flicker, like it would do with normal scanners. 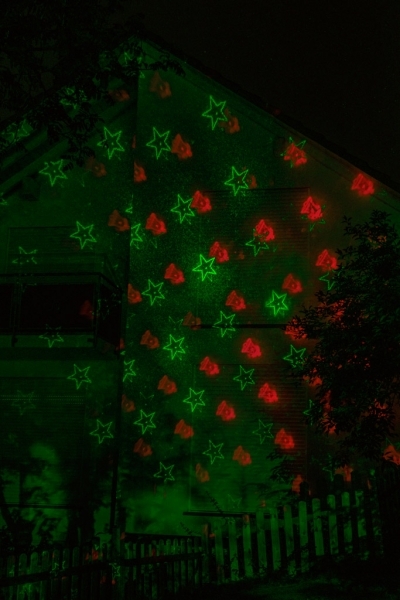 Due to the diffraction grating it has a wide projection angle, too. The Laserworld Christmas laser light effects are rated laser class 2 and thus considered safe.